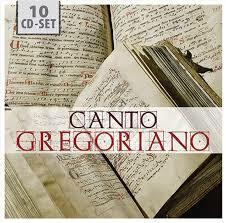 The Gregorian Chant is a one-part, unaccompanied, liturgical (i.e. service) chant of the Western world Christian church, performed in the original language Latin. Under the term Gregorian, in a more narrow sense, the chants are to be understand which have been handed down from sources from the 10th to 12th centuries. At the same time, the Gregorian Chant is the oldest music of music of Western and Central Europe to have been handed down in written form. The main body of the melody came into being between 750-800 and the name Gregorian refers to Pope Gregor the Great (604), first becoming customary as of 800. In this catalogue, the Gregorian Chants for the most important festivities and celebrations from the Ecclesiastical year, such as Christmas, Easter, Pentecost etc., have been brought together. The chants have been performed by two of the leading ensembles from Italy, Cantori Gregoriani, under the direction of Fulvio Rampi, and Stirps lesse, under the direction of Enrico de Capitani. These ensembles belong to the Istituto Pia Società Figlie di S. Paolo, based in Rome.